Getting organized is one of the top two new years’ resolutions. Getting started on that resolution is often a block. 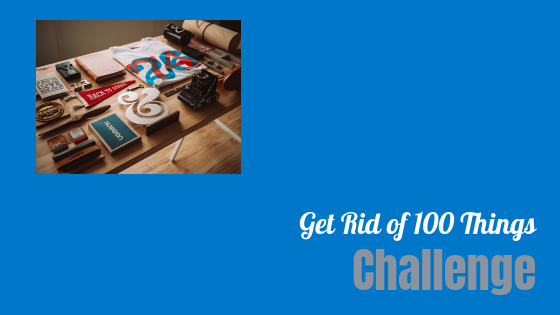 If it is for you, I invite you to take the Get Rid of 100 Things Challenge. It will get you started gently and quickly and much easier than taking on an entire room or house. 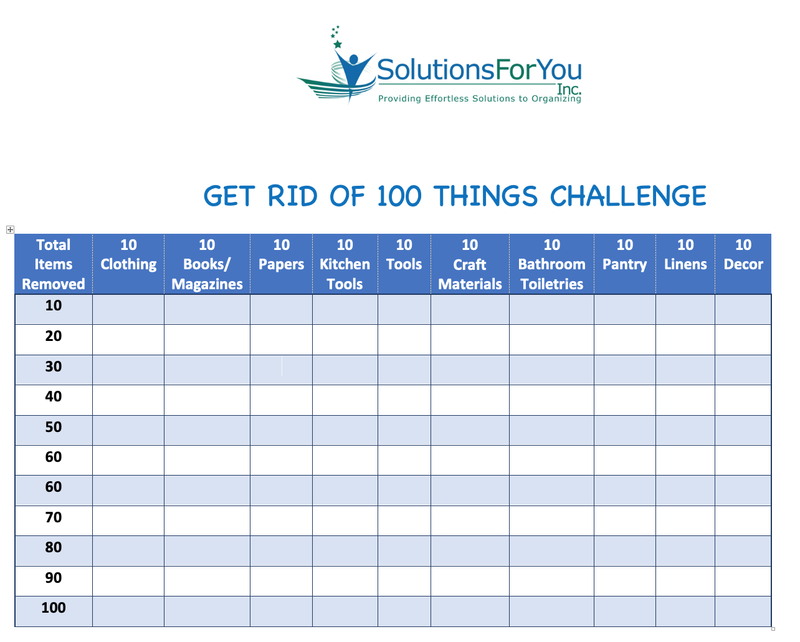 The goal is to remove 100 items from your home. You can do this once, once a month, twice a year, and so on. You decide how often. The categories in the table below are examples. You can choose your categories. Using the table below, place an “X” in each square for one item you remove from your home. You can remove all 100 items in one day, 1 item a day for 100 days, 10 items a day for 10 days, 5 items a day for 20 days, and so on. You decide your pace. The average American home has 300,000 items. If you eliminate 10 things each week this year you will have 520 fewer items taking up space in your home. And, if you eliminate 100 things each month you will have 1,200 fewer items taking up space in your home after one year! Small steps lead to big results. If you have difficulty making decisions about what to get rid of, ask yourself these questions. Post a reply if you took this challenge and what categories of items you removed from your home. Feel free to post photos of what you removed.